The .NET Rocks Road Trip Comes to Cambridge, MA on May 3rd! Carl Franklin and Richard Campbell, of the .NET Rocks! show are coming to Cambridge, MA on May 3rd! 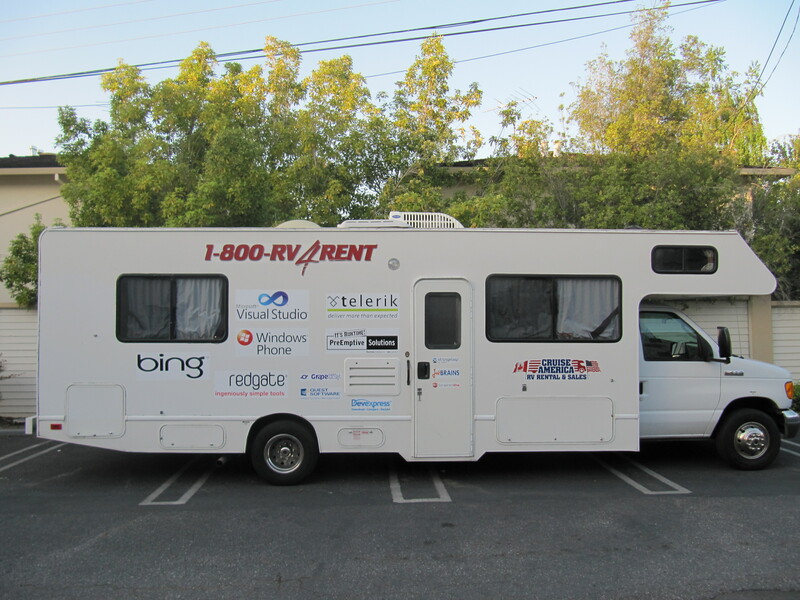 Driving a 30-foot RV, the “DotNetMobile”, Carl and Richard will be visiting the Boston area as part of the national .NET Rocks! Road Trip, celebrating the release of Visual Studio 2010 and .NET Framework 4. This free event is going to feature recording a .NET Rocks! episode with a mystery rock star from the Visual Studio world! You won’t want to miss this! Want more .NET Rocks!? After that, another episode will be recorded in partnership with the New England F# User Group. Now included with Visual Studio, the F# language will be introduced and discussed with experts Richard Hale Shaw, Rick Minerich, and Talbott Crowell. And even more - a presentation by Carl on using Silverlight 4 to create the Road Trip tracking application. After all of that, there will be a bunch of giveaways and swag to give out! Carl and Richard are offering one lucky winner at each event (except the last one) a chance to hop on the DotNetMobile and join them and the crew on their journey to the next Road Trip city! They’ll put the winner up for the night and get them back home in the morning. For a chance to win, give them your name/email via the Road Trip home page. Register to attend now because this event will fill up!